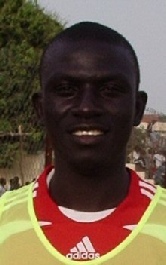 Many people outside the academy wonder when they heard Sainey Jatta been called little Kaka but perhaps those within the academy and those who watched him play once would understand the reason behind that name. Sainey Jatta despite his age has proven beyond reasonable doubt that he is one of the brightest young stars in his community. Amongst his abilities is accuracy, ability to move into good space with or without the ball and the nag to take on defenders when finding his way into the penalty area. His laurels include being part of Hawks youth team for the past two years as well as leading his local football club for series of glories. His abilities have earned him calls to come on as a substitute to Hawks finest midfielder. He has already been featured for Hawks when he came in as a substitute in Hawks’ fourth game in the league and is hopeful to feature in more games in the second round of the league.